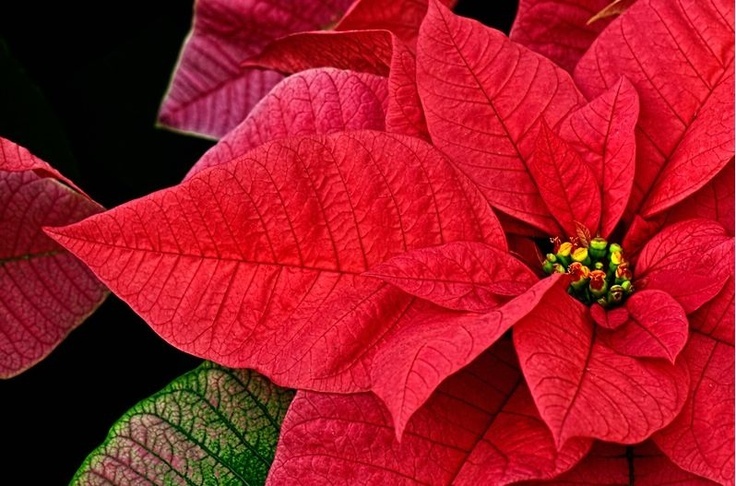 December 12th is National Poinsettia Day! Dr. Joel Roberts Poinsett, an amateur botanist and first United States ambassador to Mexico, introduced the plant that became known as the poinsettia to the United States. He discovered a shrub with brilliantly colored red leaves growing by the side of the road in Taxco, Mexico, in December 1828 and sent cuttings home to his plantation in Greenville, South Carolina. Most botanists at that time dismissed the poinsettia as a weed? Fortunately, Poinsett continued to study and breed this plant in his greenhouse, sharing plants with his horticulturist friends. It soon gained acceptance as a holiday plant, despite its very short bloom time. It wasn’t until the 1960s that researchers were able to successfully breed plants to bloom more than just a few days.